One of the stars of BBC’s The Apprentice series is set to speak at next week’s Digital DNA event in Belfast’s St George’s Market. 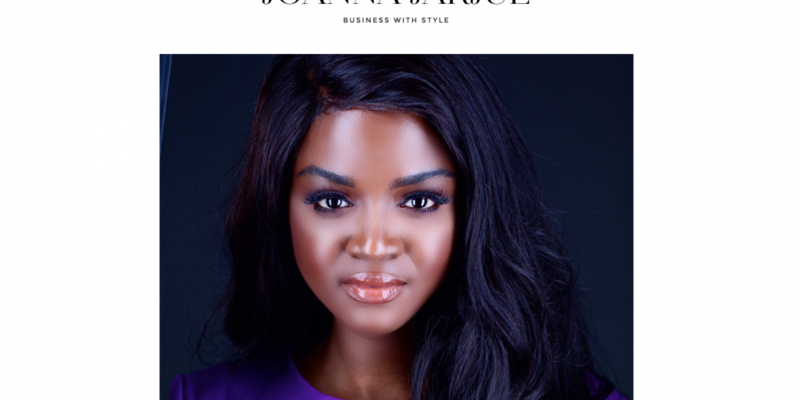 Joanna Jarjue, who made it to the last five candidates in the hit programme, will explain how she moved from a digital marketing role – where she worked on behalf of Google – to The Apprentice boardroom to setting up her own woman’s workwear business. Although Joanna didn’t win investment from Lord Sugar, she is planning to launch her company later this year which will manufacture and retail her own brand. Digital marketing will be at the heart of the business’s strategy. “There are so many different digital strategies to consider. You have to make sure you are catering to your audience because it is not a once size fits all and you really need to understand the person you’re selling to. Joanne is just one of a host of big name experts – including Leo Johnson, Jamie Bartlett, Quinn Buchanan, Rock Jacobs, Dr Liberty Vittert and Dan Kiely – who are set to appear at this year’s event which will also bring together the tech community from across the world. For the first time, Digital DNA will be powered by principal partner PwC, with the firm sharing its global technology experience and professional know-how with the Digital DNA audience. Other sponsors include Danske Bank, Kainos, Allstate, The Open University, Convergys and Belfast City Council. Other speakers at Digital DNA include: Noga Tal, Head of Global Strategic Initiatives for Startups at Microsoft; Aoife Caulfield, Emerging Client Solutions UK & Europe at Twitter; Rioch Edwards-Brown, founder of So You Wanna Be in TV; Naomi Timperley, Director at Tech North Advocates; Sarah Hooper, CRM Director at Edit; Mike Barrett, Founder and CEO of Unosquare; Henry Helgeson, Founder and CEO of Cayan; Kieran Flanagan, VP of Marketing at Hubspot.